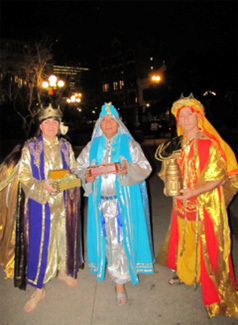 This traditional holiday commemorates the three wise men's journey as they follow the star to Bethlehem. Candelaria is the Christian festival commemorating the Purification of the Blessed Virgin and the Presentation of Jesus in the Temple. Participants bring their Niño Jesus to be blessed. Bring your pets to be blessed. Celebrated since 1930, this traditional event honor's animals for their service to mankind. Enjoy lively music, traditional food and fun people and pet watching. Celebration of Mexico's victory over French forces. 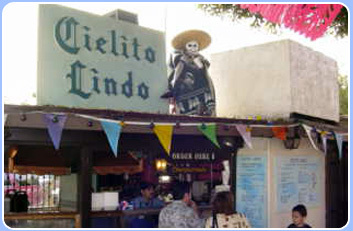 Enjoy traditional Mexican music, and live entertainment. Shop at over seventy souvenir shops, and snack at outdoor Mexican taqueros or dine in our comfortable indoor restaurants. Celebrate our national holiday in unique style. Watch the parade from Olvera Street to the Fort Moor Memorial or join the march then return to Olvera Street to enjoy shopping, fine Mexican food and live entertainment. Commemoration of founding of Los Angeles by 44 pobladores from Nueva España in 1781. The whole city comes to the plaza for a birthday party bash. Miguel Hidalgo's cry of for Independence as El Grito de Dolores, "Mexicanos, viva México." 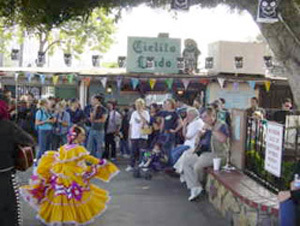 Olvera Street marks this event with music, dancing, activities and games. 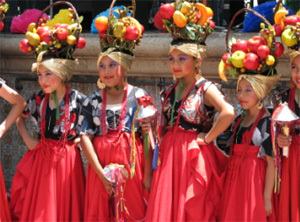 The celebration that merges pre-Columbian beliefs with Catholic rituals. 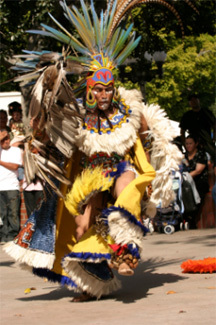 Activities include children's workshops, music, dancing, parades, unique altars and more! The lighting of a tree signals the beginning of traditional holiday activities. Seasonal decorations, entertainment and foods are highlighting cultural festivities. Celebrating the Virgen de Guadalupe’s appearance to native Mexican St. Juan Diego in 1531. Overnight vigil December 11/12. Community, school , and professional groups performing in her honor. Visitors are encouraged to join the nightly candle light processions and Christmas carol singing in Spanish and English. A piñata is filled with candies every night for the children to break and enjoy.